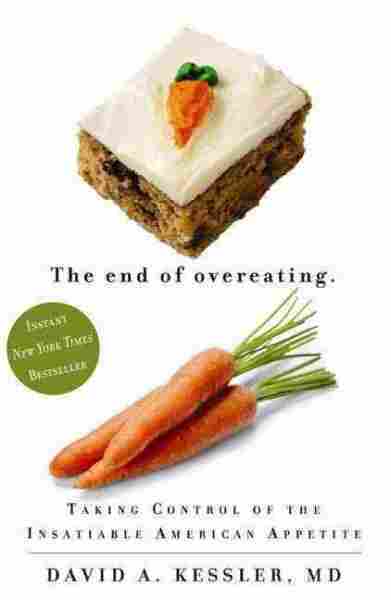 Excerpt: 'The End Of Overeating This book reveals how the American food industry has harnessed the chemistry of sugar, salt and fat to make us eat too much, too fast and too often. Years of research had educated me about how sugar, fat, and salt change the brain. I understood some of the parallels between hyperpalatable foods and drugs of abuse, and about the links among sensory stimulation, cues, and memory. I'd met enough people like Claudia and Maria to understand how even the thought of food could cause them to lose control. But I wasn't fully prepared for the discoveries I made about irresistibility and whoosh, the Monster Thickburger and Baked! Cheetos Flamin' Hot, about indulgence and purple cows. Without necessarily understanding the underlying science, the food industry has discovered what sells. I was sitting at Chili's Grill & Bar in Chicago's O'Hare Airport waiting for a late-night flight. At a nearby table a couple in their early forties was deep into a meal. The woman was overweight, with about 180 pounds on her five-foot-four-inch frame. The Southwestern Eggrolls she had ordered were listed as a starter course, but the enormous platter in front of her had been heaped with food. The dish was described on the menu as "smoked chicken, black beans, corn, jalapeño Jack cheese, red peppers, and spinach wrapped inside a crispy flour tortilla," and it was served with a creamy avocado-ranch dipping sauce. Despite its name, the dish looked more like a burrito than an egg roll, an only-in-America fusion approach. I watched as the woman attacked her food with vigor and speed. She held the egg roll in one hand, dunked it into the sauce, and brought it to her mouth while using the fork in her other hand to scoop up more sauce. Occasionally she reached over and speared some of her companion's french fries. The woman ate steadily, working her way around the plate with scant pause for conversation or rest. When she finally paused, only a little lettuce was left. Had she known someone was watching her, I'm sure she would have eaten differently. Had she been asked to describe what she had just eaten, she probably would have substantially underestimated her consumption. And she would probably have been surprised to learn what the ingredients in her meal really were. The woman might have been interested in how my industry source, who had called sugar, fat, and salt the three points of the compass, described her entree. Deep-frying the tortilla drives down its water content from 40 percent to about 5 percent and replaces the rest with fat. "The tortilla is really going to absorb a lot of fat," he said. "It looks like an egg roll is supposed to look, which is crispy and brown on the outside." The food consultant read through other ingredients on the label, keeping up a running commentary as he did. "Cooked white meat chicken, binder added, smoke flavor. People like smoky flavor — it's the caveman in them." "There's green stuff in there," he said, noting the spinach. "That makes me feel like I'm eating something healthy." "Shredded Monterey Jack cheese.... The increase in per-capita consumption of cheese is off the chart." The hot peppers, he said, "add a little spice, but not too much to kill everything else off." He believed the chicken had been chopped and formed much like a meat loaf, with binders added, which makes those calories easy to swallow. Ingredients that hold moisture, including autolyzed yeast extract, sodium phosphate, and soy protein concentrate, further soften the food. I noticed that salt appeared eight times on the label and that sweeteners were there five times, in the form of corn-syrup solids, molasses, honey, brown sugar, and sugar. "This is highly processed?" I asked. "Absolutely, yes. All of this has been processed such that you can wolf it down fast... chopped up and made ultrapalatable.... Very appealing looking, very high pleasure in the food, very high caloric density. Rules out all that stuff you have to chew." By eliminating the need to chew, modern food processing techniques allow us to eat faster. "When you're eating these things, you've had 500, 600, 800, 900 calories before you know it," said the consultant. "Literally before you know it." Refined food simply melts in the mouth. 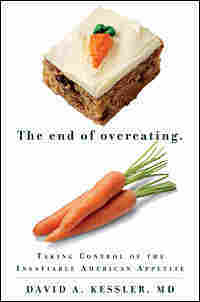 From The End of Overeating by David Kessler. Copyright © 2009 by David Kessler. Published by Rodale Books. Used by permission of the publisher. All rights reserved.